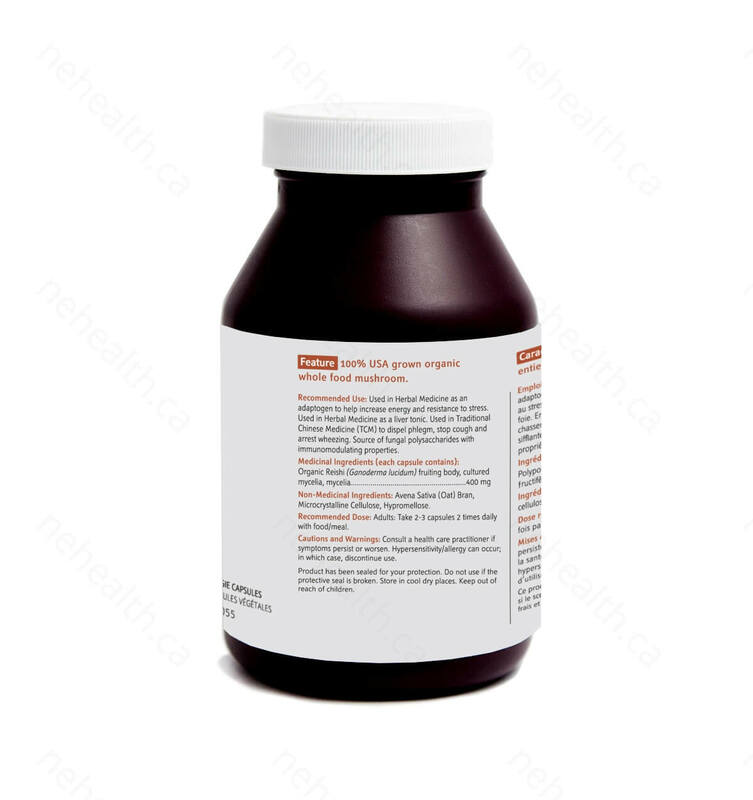 Grandhealth® Organic Red Reishi is cultured on organic, gluten free oats, providing a nutritious substrate for the mycelial biomass. The fresh mycelial biomass, fruiting bodies, and spores are then air-dried at a controlled temperature to preserve the bioactivity of temperature-sensitive active ingredients such as triterpenes (called ganoderic acids), polysaccharides (beta glucan), alkaloids, proteins, amino acids and extra-cellular compounds; ensuring you are getting the highest quality medicinal mushroom for optimal health and wellness. 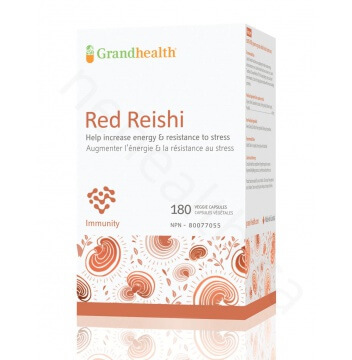 Red Reishi is known as the “Mushroom of Immortality”. 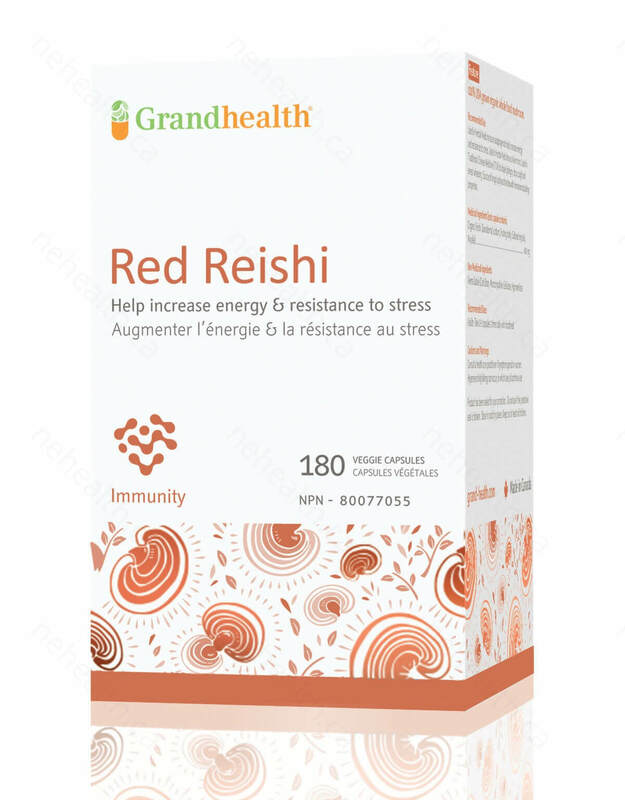 It has been used in Traditional Chinese Medicine as a superior adaptogen to balance and modulate immune response to mental and physical stressors. In addition, it also helps to rejuvenate and detoxify your liver, thus, regulate sleep patterns and relieve insomnia. 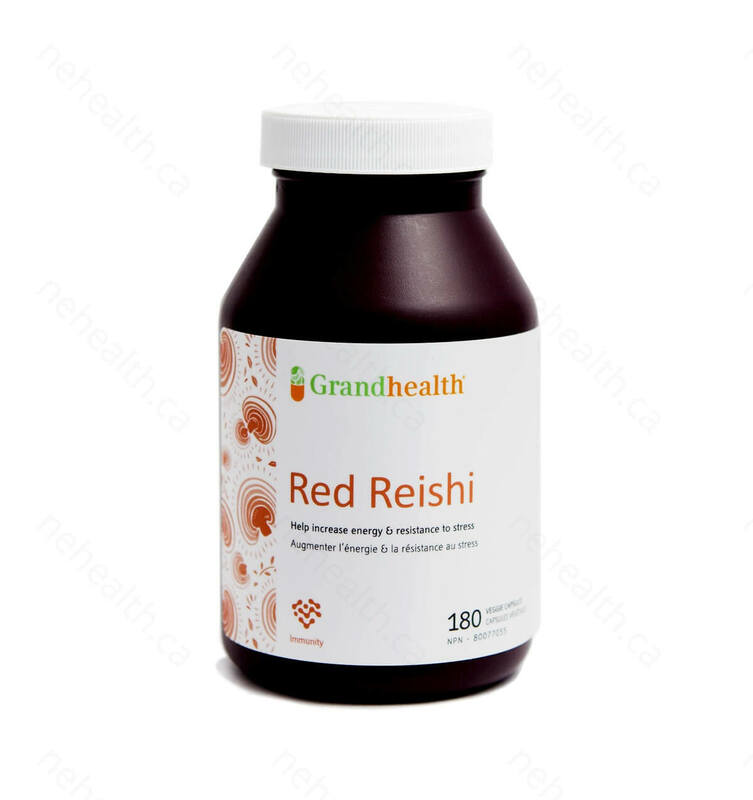 Some researchers believe that red reishi can reduce the metastasis of cancerous cells, prevent tumor growth, and induce apoptosis in cancer patients; suitable for those looking for natural approach to ease the side effects of chemo- and radiotherapy. Adults: Take 2-3 capsules 2 times daily with food/meal.